Make your Android phone stand out from the crowd with a custom phone case from The Case Studio. We carry cases for today’s hottest Android devices on all major carriers. 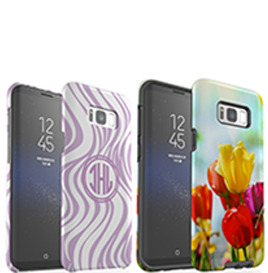 Personalize your case by customizing and monogramming one of our favorite designs or uploading photos and artwork of your own. Made from durable plastics and our unique 3D Thermal Color Fusion process, your case won’t crack or peel, unlike other custom phone cases. With endless possibilities, you will want a case for every occasion, outfit, and mood.